Welcome back! DT member Bev Code has an amazing fall inspired tag for us today. Brown, black, orange, gold - beautiful color combo. So now I'll her give you all the details of the tag. 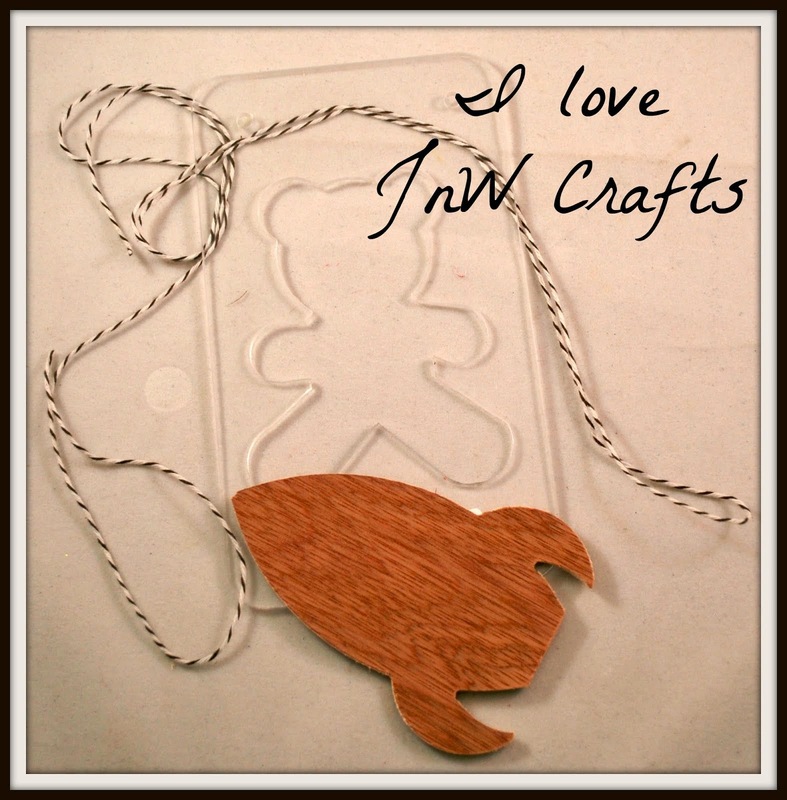 I used the JnW Crafts templates to make my tag today. The larger wood template was used to trace the jar on right on the base tag. I then drew the lid marks using Staedtler black pen and then used StazOn ink to stamp on the circle accents. The smaller glass jar template was used to trace on the Paper House Paper and hand cut out the jar on the left. The lid marks were drawn on it and the fun cute tag was cut, stamped on, doodled stitching added and tied with twine to the jar. The upper part of tag was stamped with butterfly, matted and doodle stitching to make a border accent. 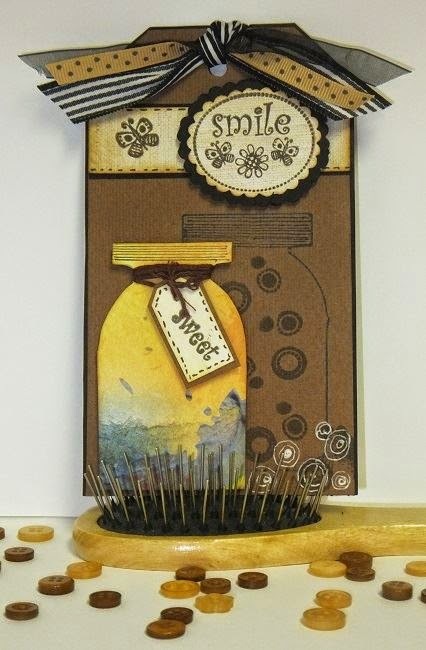 The Smile sentiment is stamped plus butterflies and flower and matted with scallopped edges. Add some ribbons tied through the loop and you have the cutest tag. Glass Jar template from JnW Crafts.